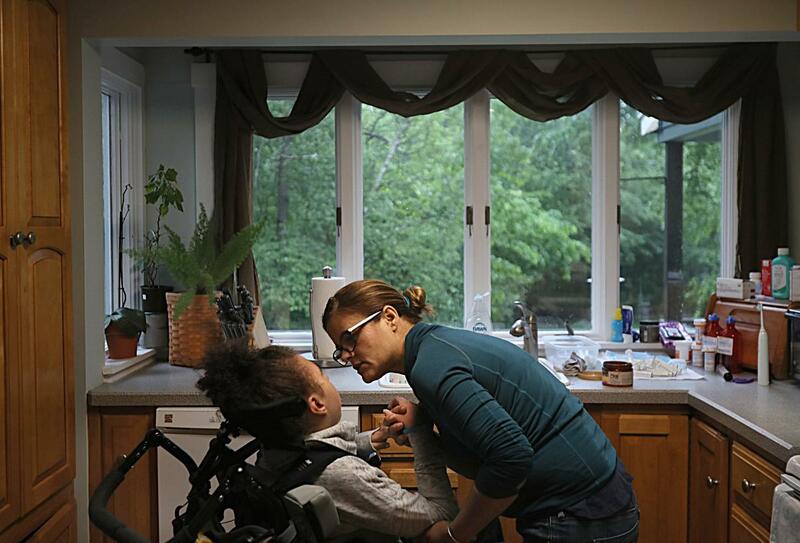 Noelia Ferreira, like hundreds of Massachusetts parents, cares for her medically fragile daughter, Abi, at home. 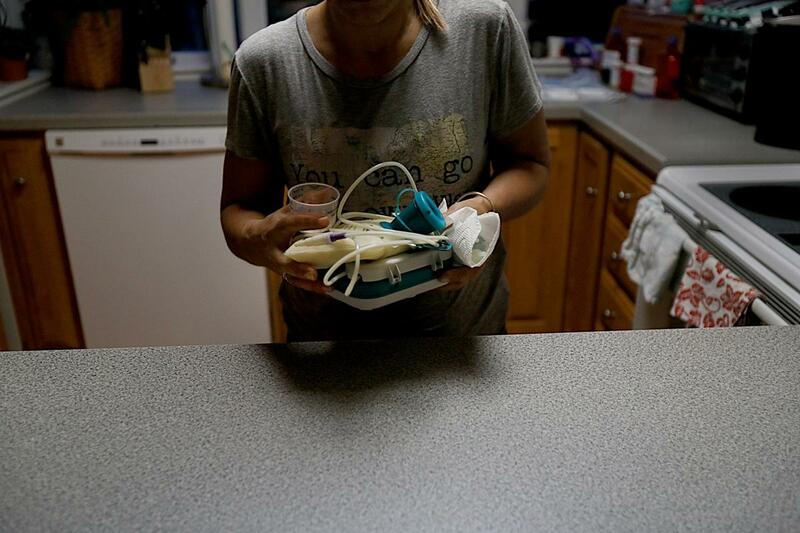 But MassHealth has let reimbursements languish, making it nearly impossible to find a skilled nurse to help her. 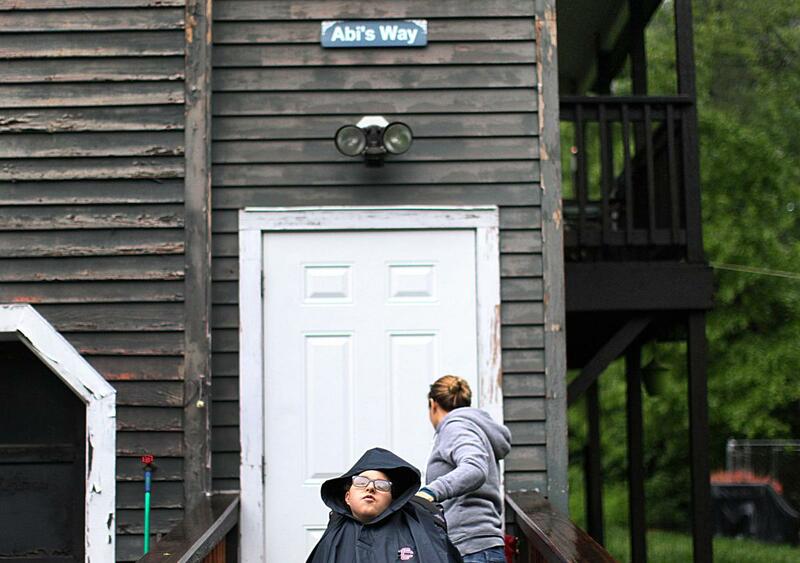 Abi needs nearly round the clock medical care that Noelia is forced to do herself. “It puts Abi at risk and it’s killing me.” Noelia says. 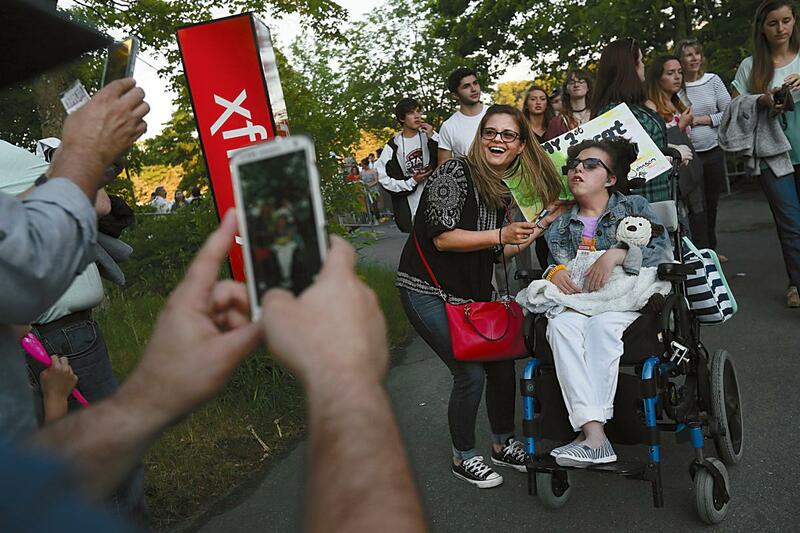 Photos by Suzanne Kreiter/Globe staff. Noelia Ferreira kisses her daughter’s hand after a session of stretching her limbs to help her muscle tone. 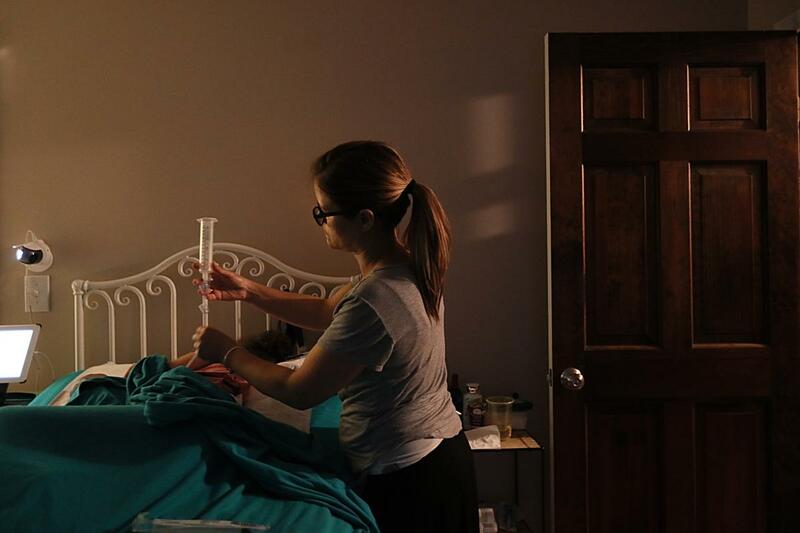 At 6:30 in the morning, Noelia wakes up her daughter, changes her diaper, and gives her a sponge bath. Finding a nurse to help even a few nights a week is nearly impossible. The rate Abi’s insurance can pay them is low. The last nurse left them months ago. 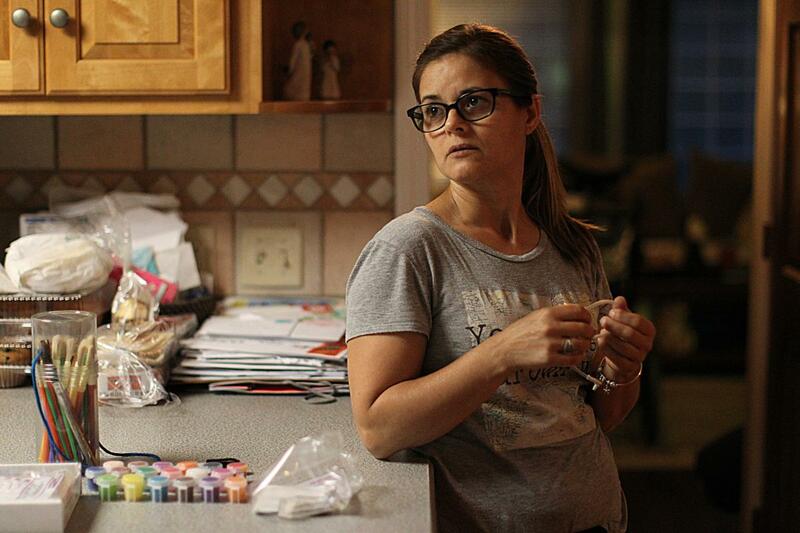 For Noelia, the cycle feels endless. 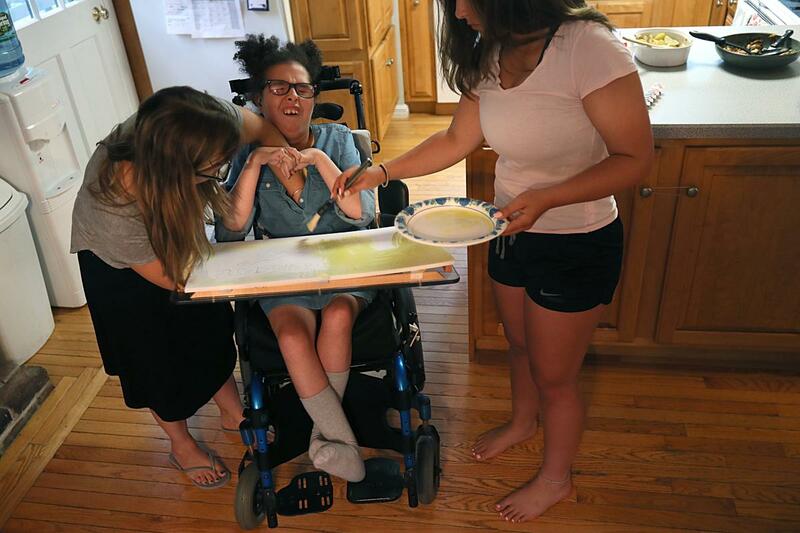 Even when she can hire a nurse, they never last long.They leave the house in the morning to get on the wheelchair-accessible van that takes Abi to school. 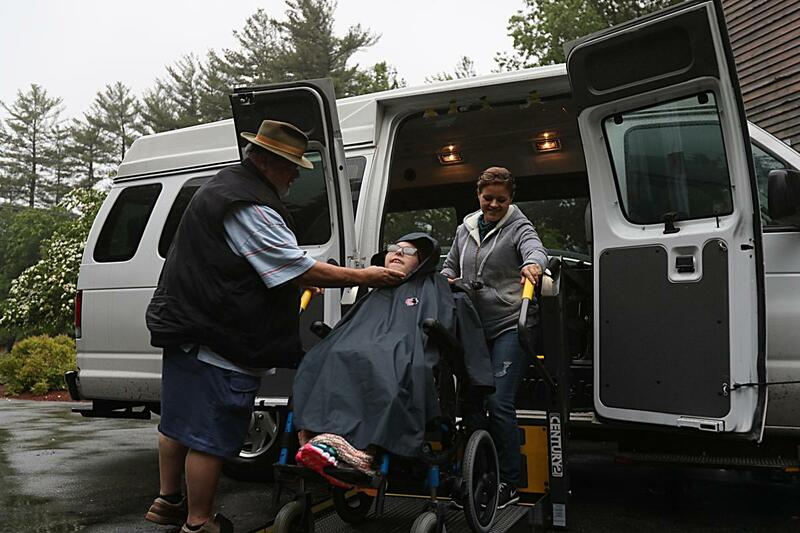 Noelia spends four or five hours a day on the road in the van, working as a paid bus monitor for Abi and another student. With a Jack Johnson song playing in the background, Noelia takes a break from stretching and massaging Abi’s muscles to talk to Abi about the upcoming concert. 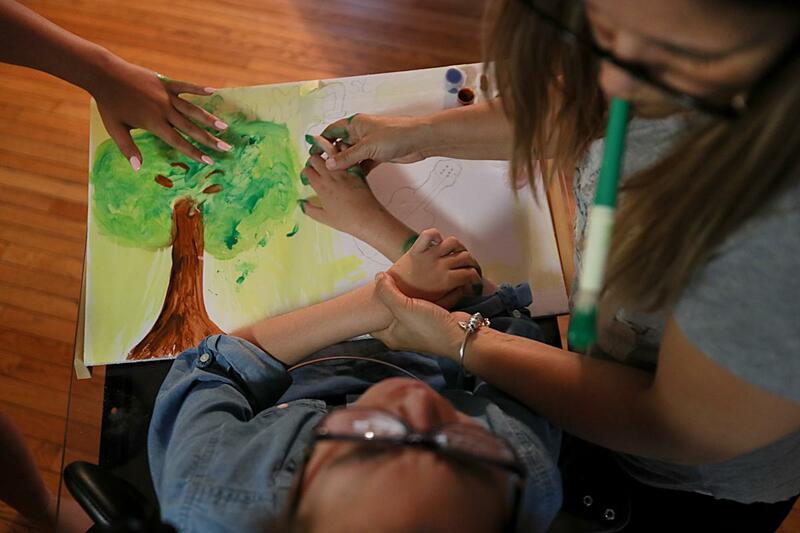 When Abi’s stomach pain and a second seizure within two hours prove too much for the task, Noelia promises to finish the sign for the concert for her daughter. 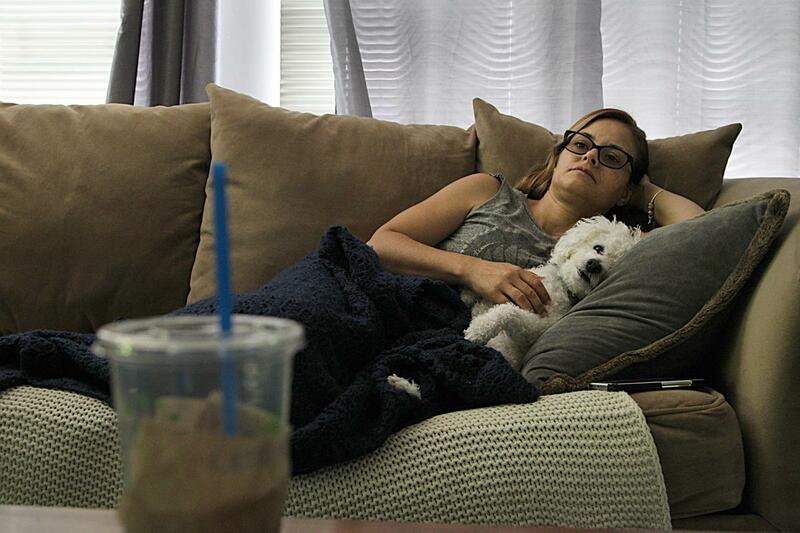 Noelia and the family’s dog Coconut comfort Abi after a difficult evening. Noelia has never considered sending Abi away to an institution. She believes state officials haven’t done more to change reimbursement rates because parents like her will keep caring for their children even without a nurse. 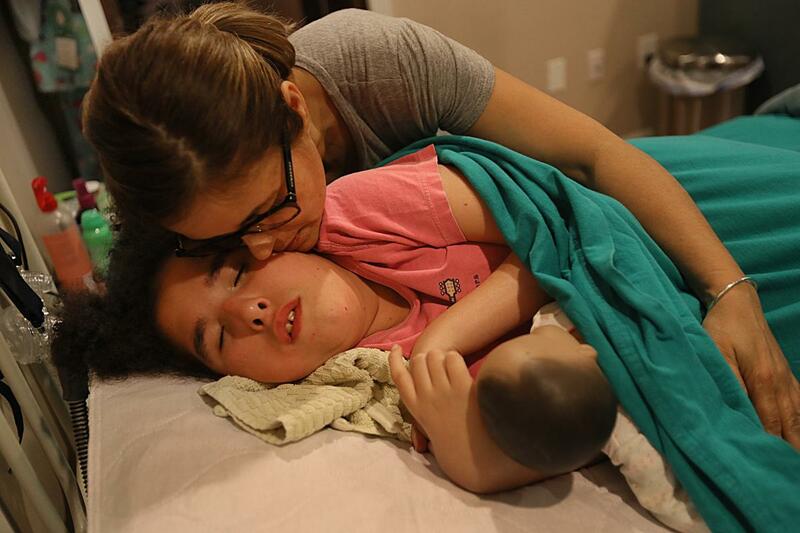 Before Noelia can go to sleep, she carries up Abi’s last meal of the day to attach to her feeding tube. 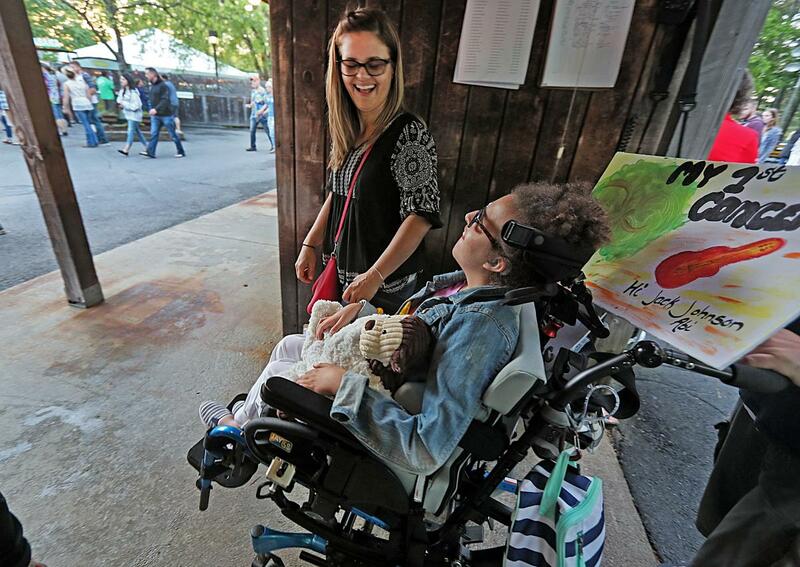 The house is quiet and dark when Abi gets her last meal through her feeding tube at 8:30 p.m.
As Noelia and Abi cross through the gate of her first concert, Abi breaks into a wide and unmistakable smile. 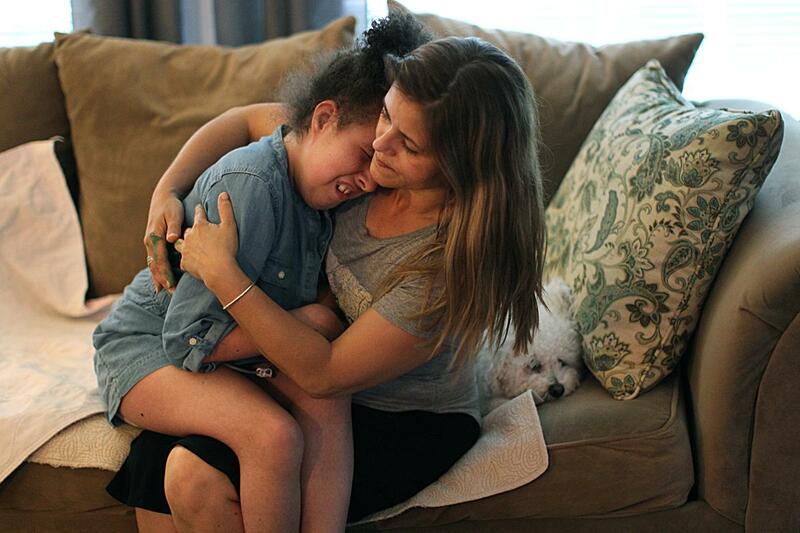 When Noelia sees her daughter’s joy, she starts to laugh. 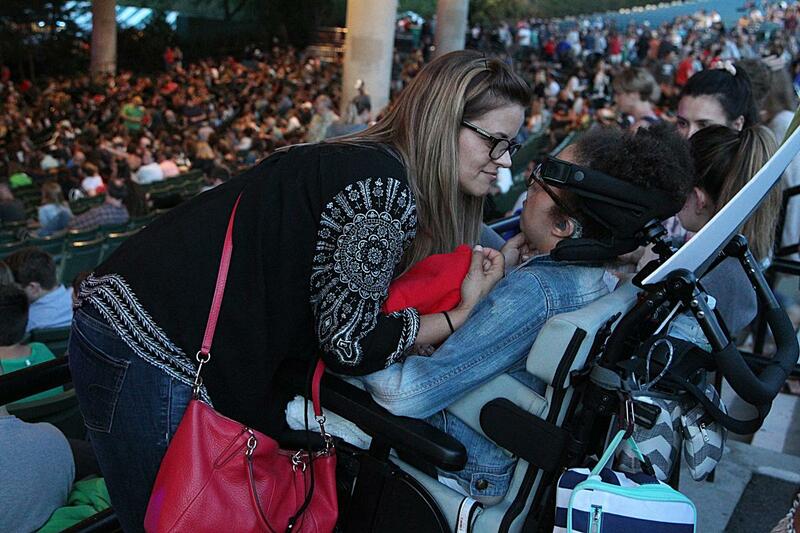 In the coming weeks, Noelia would try again to find a nurse for Abi, but this night they were together and happy. This was all they needed. A couple of weeks after the concert, Noelia has a home visit from a new nursing agency. They arrive as Noelia and Abi return from school.